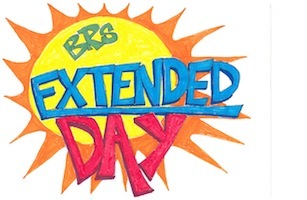 The Beecher Road School Extended Day Program is a before and after school program operating from 7:30 – 8:20 a.m. and from dismissal to 6:00 p.m. throughout the school year and during vacations from 8:00 a.m. - 5:30 p.m. We are committed to ensuring that your child is safe and happy while you’re at work! The staff provides a relaxing environment where children from kindergarten to sixth grade may play with friends in both structured and unstructured activities. The Extended Day Program is staffed by certified teachers and teacher assistants employed at Beecher Road School. College and high school students who have experience working with children are also valued members on staff. We maintain a low student:adult ratio (generally ten:one or fewer) and strive to provide a consistent nucleus of professional, friendly, and caring staff. The Extended Day Program fees are paid monthly and vary according to the number of days per week a child attends. The following rates reflect the current fees for the academic school year. Click here for summer pricing and registration page. The registration process is paperless and online. Programs and registration information for the fall are now available at the website. Click here to go to the online registration page.